Size matters when it comes to your tankless water heater. In fact, it is the most important part of choosing a new unit for your home. Having a water heater that is too small will result in it not being able to produce enough hot water for your household demand. For example, you might not be able to run more than one shower at a time without someone getting an arctic blast of cold water. On the other hand, a water heater that is too large will end up being more costly than necessary, since you will be paying more upfront for the larger size (although it could be useful if you plan to upsize your home later). 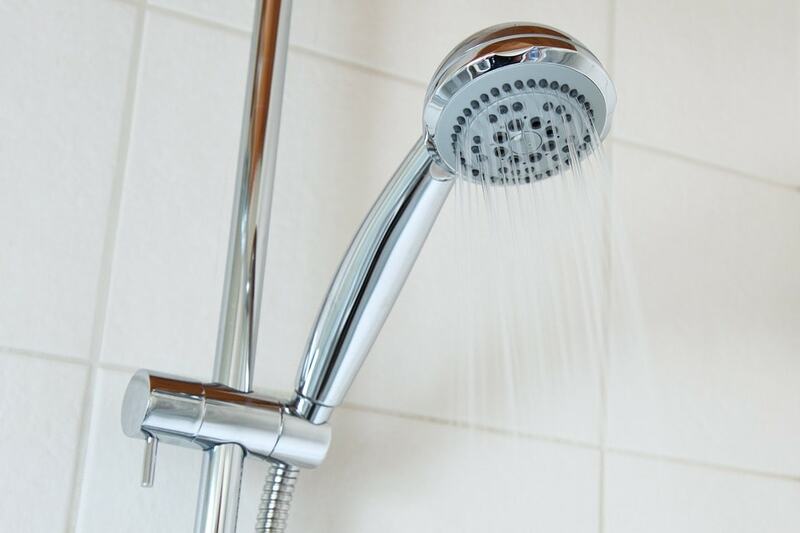 To work properly, a tankless water heater needs to be just the right size to meet your home's hot water demand. This guide will teach you how to size a tankless water heater and includes a calculator at the end. First, figure out which fixtures you will want to operate simultaneously and how much hot water each will use. This is called the flow rate and is measured in gallons per minute (GPM). You can determine the total rate at which the water heater will need to produce hot water by adding the flow rates for each fixture together. Next, calculate the temperature difference between the water entering the heater (groundwater temperature) and the temperature desired at the faucets. This is called your temperature rise (known as ΔT by professionals), or the temperature by which your water heater must raise the water. Typical faucet temperatures are 110° F – 120° F. Groundwater temperatures average 57° F in the U.S. but can range from approximately 70° F in southern parts of Florida, to near freezing in the northern states. The greater the difference between the groundwater and desired fixture water, the fewer fixtures a water heater will be able to supply. Use the two tables below to calculate the total flow rate your home needs. Be sure to only include the maximum number of fixtures you will want to operate simultaneously in the calculation table. 1. Figure out the flow rate for the heaviest water use you expect. For example, let's say you're running one standard shower, a dishwasher, a faucet, and a high-efficiency washing machine at the same time. Using the water flow rate table below, add up all the flow rates of those fixture (2 + 2.5 + 1 + 1 = 6.5GPM). Your flow rate would be 6.5GPM. 2. 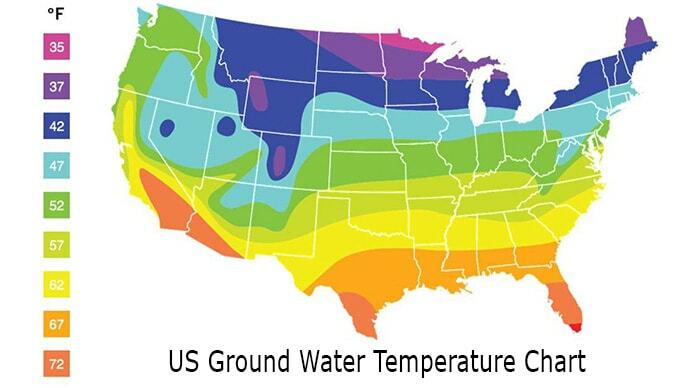 Use the groundwater temperature map to locate your groundwater temperature based on where you live in the United States. For example, in Chicago, the groundwater temperature is listed at 47 ° F.
3. Enter the groundwater temperature you found on the map into the table below to determine the required temperature rise for hot water at 110°. In our Chicago example, entering 47 ° F yields a required temperature rise of 63 ° F.
4. Simply locate the appropriate water heater sizes on eComfort using your information. Once you have your total flow rate and the required temperature rise, you can find the right-size tankless water heater for your home. Below, we've highlighted what size water heater you would need in our example of 6.5 GPM at a 63° F temperature rise. (Technically speaking, you could round up to the 70° F temperature rise option, but rounding down to 60° F is the more realistic and acceptable option in this scenario since we're only 3° F under the actual rise). Tankless Water Heater Sizing Guide - What Size Tankless Water Heater Do I Need. Our heating, ventilation and cooling equipment how-to library can help you pick the perfect comfort solution for your home.